Help us protect Adirondack moose! 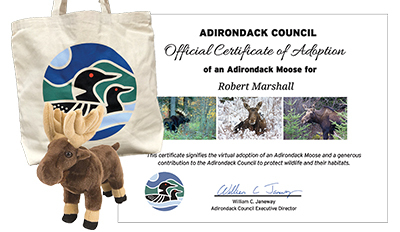 With your adoption you will receive a plush moose toy, a canvas tote bag with the Adirondack Council loon logo, and certificate authenticating your support to protect Adirondack wildlife and their habitats. Suitable for children of all ages.